If you have any questions about the GLISS information page below please contact us. The sailing yacht GLISS is a 32 metre 105 (foot) good sized alustar vessel which was made at Royal Huisman and devised by Philippe Briand. Completed in 2006 her reasonably recent interior decoration illustrates the seasoned experience in the designing of Pieter Beeldsnijder Design. 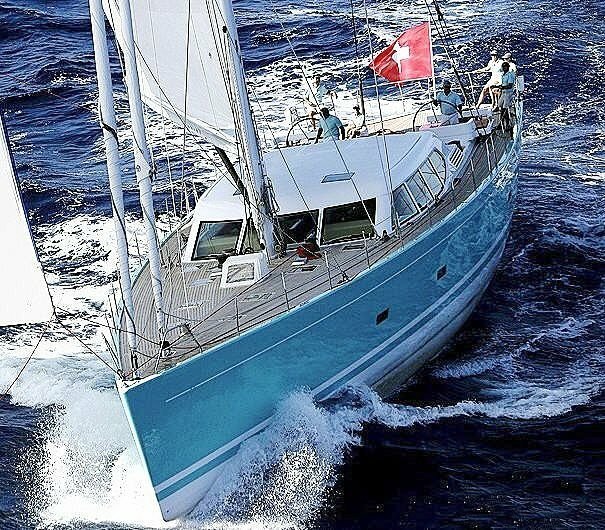 The beautiful turquoise sailing yacht GLISS, is a 31m Philippe Briand yacht built by Royal Huisman. Sailing yacht GLISS has a spacious living area, day head, third guest cabin and crew accommodations with separate entrance forward and two guest cabins and an master suite aft. The deckhouse has push button slide down side windows for indoor / outdoor living. The yacht is designed to be fast but also comfortable enough for family cruising. 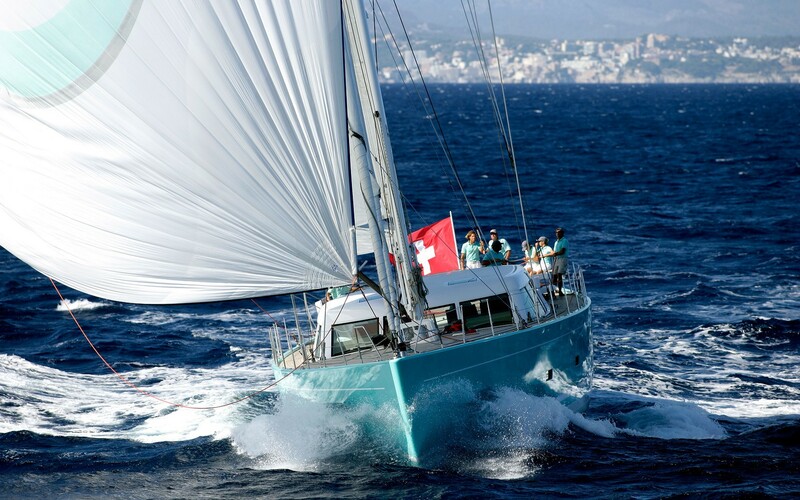 Sailing yacht GLISS was the overall winner of the Horus Superyacht Cup in Palma 2009 and was first place in the Loro Piana Superyacht Regatta 2009 in Sardinia. Designer Pieter Beeldsnijder used limed oak, cork floors, black granite counters and vibrant colours to create a relaxed and elegant look. Amenities for cruising include a deck with spacious lounging areas that have integrated sunbathing beds and a carbon fiber swim platform. 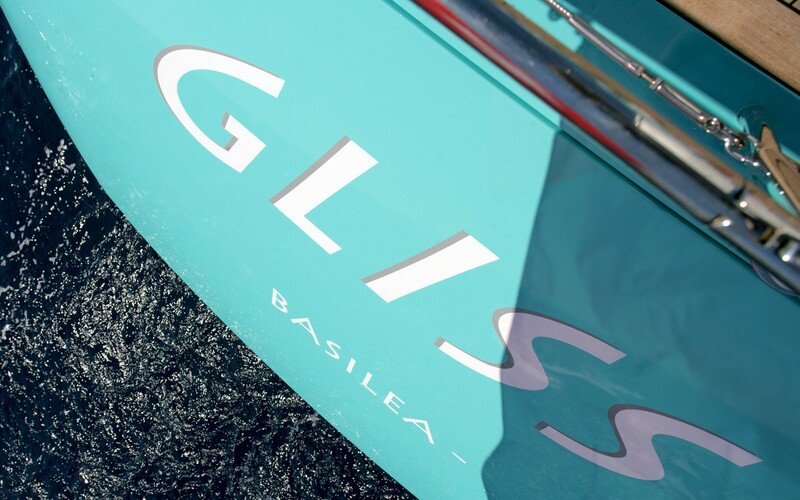 Philippe Briand was the naval architecture company involved in the professional superyacht plans for GLISS. Her interior design was realised by Pieter Beeldsnijder Design. Philippe Briand is also associated with the yacht wider design collaboration for this yacht. Created at Royal Huisman the vessel was fabricated in the country of the Netherlands. 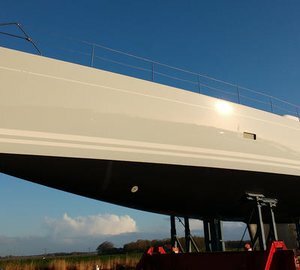 She was successfully launched in Vollenhove in 2006 before being handed over to the owner. Her core hull was crafted from alustar. The sailing yacht main superstructure is made predominantly from aluminium. With a beam of 7.43 metres or 24.38 ft GLISS has reasonable room. She has a fairly deep draught of 3.95m (12.96ft). Powered by one SCANIA diesel engines, GLISS can attain a high speed of 13.5 knots. Coupled to the GLISS engines are a single screw propeller (hundested 4 blades). Concerning thrusters she was built with Hundested. 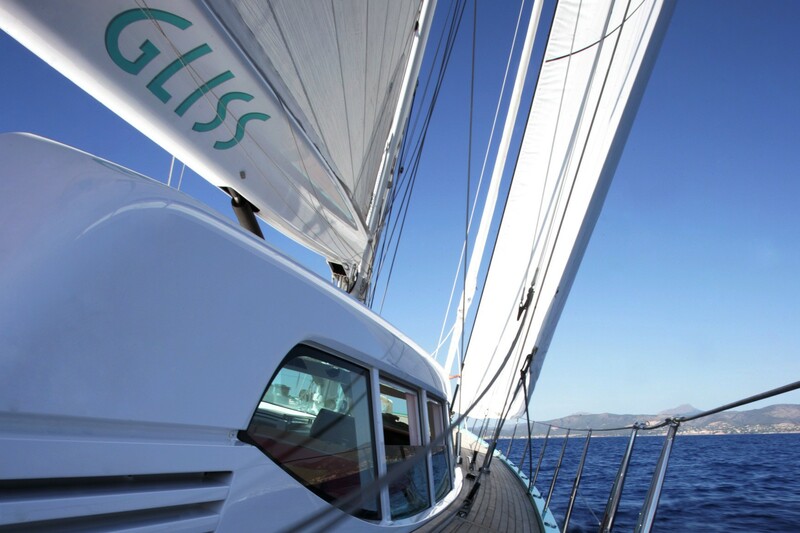 The good sized luxury yacht sailing yacht GLISS can accommodate a total of 7 people and 4 crew members. 13.5 nautical miles per hour. The luxury yacht GLISS displayed on this page is merely informational and she is not necessarily available for yacht charter or for sale, nor is she represented or marketed in anyway by CharterWorld. This web page and the superyacht information contained herein is not contractual. All yacht specifications and informations are displayed in good faith but CharterWorld does not warrant or assume any legal liability or responsibility for the current accuracy, completeness, validity, or usefulness of any superyacht information and/or images displayed. All boat information is subject to change without prior notice and may not be current.